1. The five planets, that is, Saturn, Jupiter, Mars, Venus, Mercury, are either matutine, vespertine, occiduales (setting), or absconsae (hidden, i.e., by the Sun's rays). These the Greeks call afaneis (hidden), synodicae (in conjunction with the Sun), or acronyctae (at nightfall). How they came to have such characteristics and why they are given their names we shall now explain. Matutine planets are those which in their rising precede the Sun. Vespertine or evening planets are those which in rising follow the rising of the Sun. Absconsae, or hidden ones, are those which the Sun's orb conceals (heliacal rising). Acronyctae are those which rise when the sun sets. 2. When these positions of the planets are favorable and when they are harmful we shall deal with in the later books, for we have not brought this up without a reason. To sum up, however, it should be stated that nearness to the Sun is harmful to all planets. Certain astrologers, however, claim that Mars is favorable when setting, when he is overwhelmed by the rays of the Sun, for in being subservient to the Sun he loses his natural malefic qualities. 3. 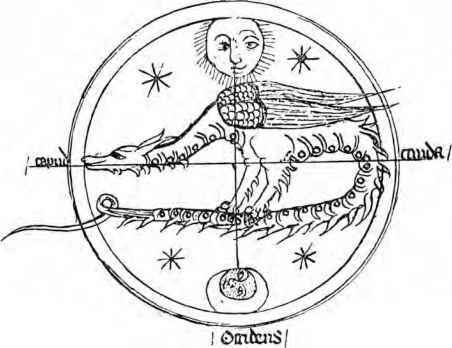 We must also know in what conditions the matutine star rejoices and in what the vespertine star rejoices, for they are protected in a favorable position whenever they precede the Sun. Some planets located with a morning rising rejoice in company with the Sun. For the divine power of the Sun is protected by very favorable influences whenever he is accompanied by the morning rising of planets. But those planets become weakened whenever they follow after the Sun in an evening rising. Those placed in the light of the Moon are protected by its greatest influence when in any aspect they precede its rising. 4. We must further show what is effected by a combination of rising planets in a chart when the planets become matutine, when they are vespertine, and how many degrees of distance from the Sun it takes to make a planet matutine. How to find matutine venus in a natal chart?